A trip to Hilton Head Island in 1975 convinced Nancy Love that she had found paradise. Upon returning to her Southern California home, she couldn’t stop talking about the distinct charm she had discovered along the South Carolina coast. Her enthusiasm quickly spread among her family and they promised that they would take a look for themselves. In August of 1976 Nancy’s dream came true and the Loves moved from Long Beach, California to Hilton Head Island where they settled down in Sea Pines. David, who was fifteen at the time, and his two younger sisters, Katherine and Samantha, were not quite sure what to expect. What the Loves discovered was a welcoming new lifestyle, with a distinct rhythm that is unique to the Carolina Lowcountry. They quickly settled in, living in harmony with nature and enjoying world-class amenities right outside their doorstep. Completing the dream was a sense of community unlike any other they had experienced. For Nancy it was the kind of environment she had always envisioned for her family. Having earned his degree in business and after working and traveling extensively, the pull of the island was too hard for David to ignore. 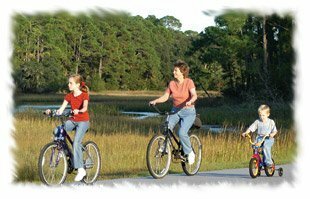 “Hilton Head is one of those rare and gifted places in the world where just being here is good for the soul”, he says, and in 1992 David moved back to begin a career in real estate with his mother, Nancy. Not long after, David met the love of his life, Kathy while attending a wedding in North Carolina. 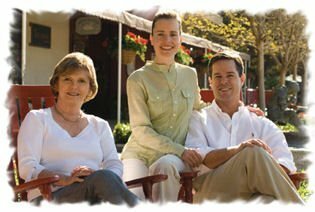 While initially hesitant to go into business with David, Kathy realized her strong organizational and computer skills would allow them to take their business to a higher level. 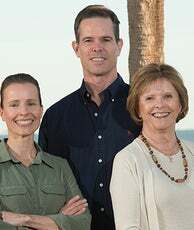 Nancy’s real estate career began in 1974, and as a veteran of the business she readily shared her knowledge and expertise with David and Kathy. 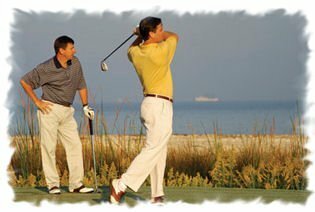 Over the years their close working relationship has evolved into a dynamic partnership in which they enjoy their time together, whether it is playing a game of golf or discussing the details of their business. 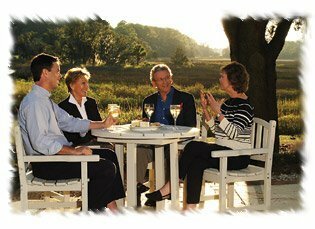 Nancy, David and Kathy Love's commitment to their clients is built upon their pleasure in sharing the Hilton Head lifestyle and helping their clients realize their dreams of making Sea Pines an integral part of their lives. They welcome the opportunity to expose their clients to a unique, relaxed and all-new way of life. 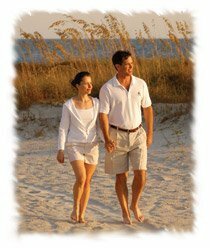 Whether clients are looking for a year-round home, a second home, an investment property, or are thinking of selling their property, they are committed to making every transaction as enjoyable as their own Hilton Head experience.